Hardcover available 5/7/19 everywhere books are sold. The only way to a better life and a better world is to change the stories that we believe. In her late 20s, Erica was living the quintessential millennial life. She had a successful career in politics and social impact that landed her on TV and on all of the “30 under 30” lists. And, if that wasn’t enough, she had just married her high school sweetheart. On the outside, she was black girl magic personified. But inside, she was, like many of her peers, frustrated by the gap between the life she was told could be hers if she followed all of the rules and the reality, which was far less picture perfect: chronically cash poor, overworked, uninspired, and crushing under the weight of constant pursuit. So she did the thing that women like her are never supposed to do: She quit. And that’s when her transformation began. In the process, she uncovered that the key for true fulfillment and radical change lies in getting “story smart”: using narrative intelligence to change the stories that we believe. You Deserve the Truth is a masterclass in how to recognize and challenge those stories - ideas about success, work, time, money, identity, fear, faith and love that have crippled us and broken our world. In her authentic and relatable voice, Erica provides a blueprint for anyone seeking a new way to live and change the world. Who is Erica? What’s her story? Want a sneak peak into the 4 step process that Erica teaches? Pre-order & claim your gift. In this beautifully written, smart and soulful book, Erica Williams Simon gives us what we all need more of: The knowing that life, at its best, is more about wonder than certainty. 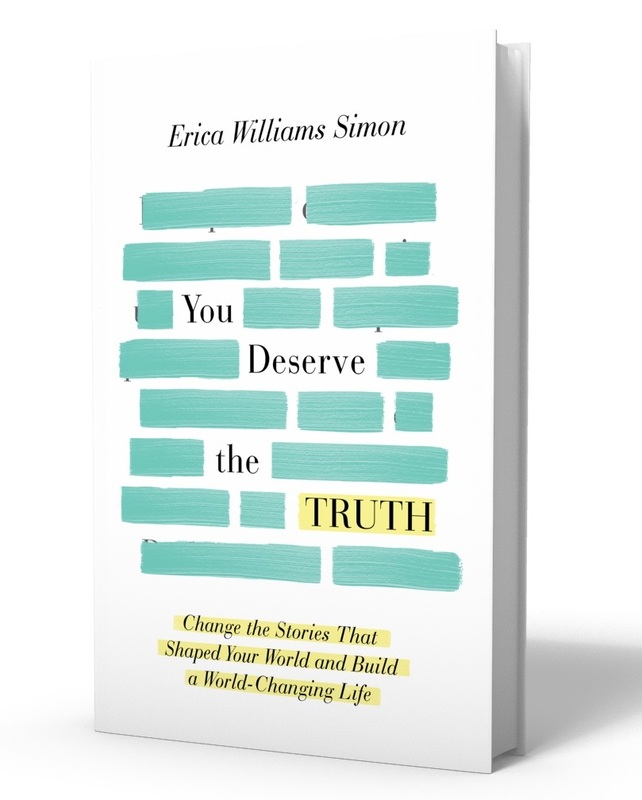 With You Deserve the Truth, Erica invites us beyond the old stories we’ve been told about ourselves, and into the wonder of our dreams, hopes and love – so we can find our truth and purpose there.